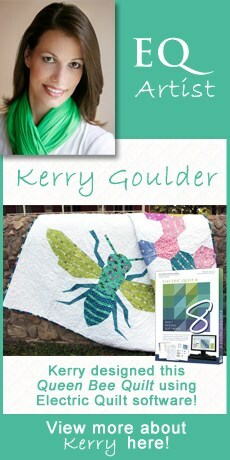 Hover your mouse over the Fabric of the Month button beneath the collection you want download. Select the icon that corresponds to the operating system on which you wish to install the files. If prompted, click Save. The installer file will begin downloading. Double-click on the file to start the installation. Follow the prompts. When installation is complete, open EQ Software > Libraries > Fabric Library. Your new fabrics will show up below the EQ libraries. 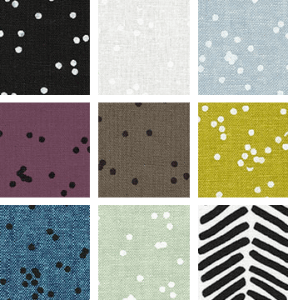 NOTE: If you currently have EQ open, please close and reopen to see the new fabrics in your Fabric Library. 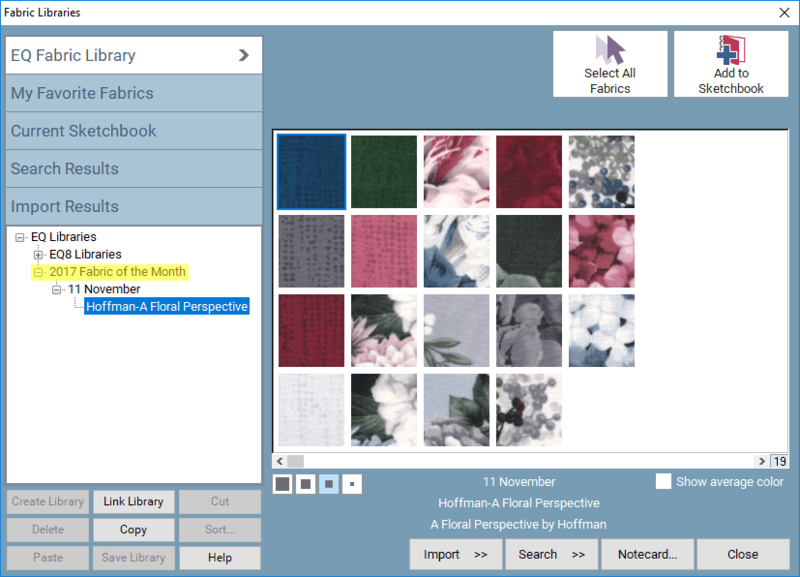 Click the Fabric of the Month logo to download and install the collection for EQ8. If you need help downloading, click here.